In 1897 Spain was forced by the struggle of Latin America and that of the Puerto Rican Nation to grant Puerto Rico the “Charter of Autonomy” and according to International Law, by virtue of that grant Puerto Rico became an autonomous nation that acquired a juridical personality of its own. That meant that Spain had no right to cede Puerto Rico to any other nation, and the U.S. had no right to invade Puerto Rico because it was not a belligerent party in the so-called Spanish-American War. That means the United States is in Puerto Rico illegally in violation of the set of laws that it vowed to respect, and also is in violation of the high ideals of freedom, liberty, and the collective human rights of a people, the Puerto Rican people. In Puerto Rico the public and the private schools are instrumental in denationalizing the people of the country by denying the population the study of their true history. The media and the schools are totally married to the interests of the colonizer to misinform, dumb-down and manipulate the population into believing that the lies and misinformation fed to them is the absolute truth. These lies have already been programmed into the genetic fabric of the Puerto Rican national mentality. For example, if a child grows up in a prison and knows no other life, he or she will think that that is normal, that there is no other way to live. That is what has happened to the people of Puerto Rico, and that results in the incredible outcome of the elections, like voting for statehood or the status quo, which are both colonial answers of a population that has gone through what I just described. When peoples are colonized, they do irrational things like refusing to be free, identifying with the oppressor, and suffering an identity crisis that confuses them as to what their nationality really is. It is as if we have been kidnapped and are suffering from a sort of “Stockholm Syndrome” and identify with the kidnapper. That is why, I believe, elections held under military occupation are null and void and have been condemned by the international community. Elections held in Puerto Rico are a farce, manipulated by the CIA and the very wealthy, who have no interest in independence. The wealthy own the mass media and the “educational system” which is a system designed to intimidate and brainwash the people of Puerto Rico into accepting their status as political slaves of the U.S. corporations and their tool, the U.S. government, just like the people of this country, who are under a government of the corporations, by the corporations and for the corporations. When I say the wealthy, they are not generally Puerto Ricans, and those who are Puerto Rican are a minority who have lost any notion of nationhood. For practical purposes they are Yankees because they have no allegiance to the Puerto Rican nation and its symbols; in other words, they have become denationalized and have renounced their nationality. That type of “Puerto Rican” votes in Puerto Rico as a Yankee and not as a Puerto Rican who has allegiance to her or his country. Imagine if the U.S. had been taken over by a foreign power, and with lies and misinformation the people of the U.S. become “un-American,” like many Puerto Ricans who have become un-Puerto Rican. Imagine these “un-Americans” have lost their sense of nationhood, become loyal to the occupier, and then hold elections to decide the fate of their country. Would you consider those that are addicted to the foreign power to be Yankees that can decide for those that are loyal to their country? After all, self-determination is for those who confirm the Motherland, not for those who deny it and have become part of the occupying force. When one votes, it is done as a U.S. citizen, not as a foreigner loyal to a foreign country. Again, the Motherland is represented by those who confirm it, not by those who deny it. 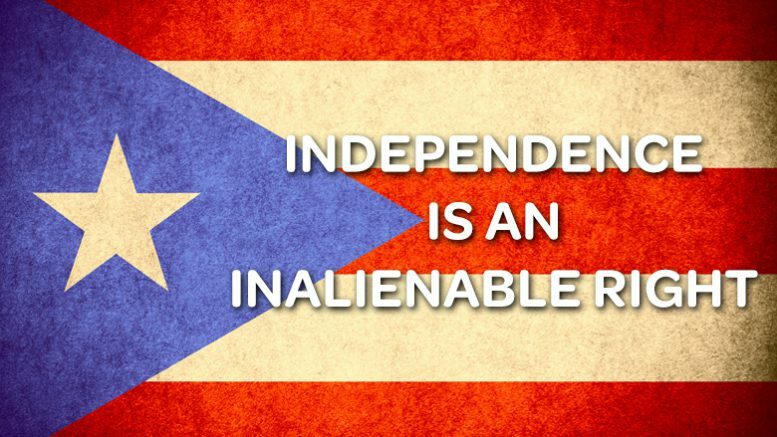 Pro-statehood “Puerto Ricans” cannot control self-determination for the legitimate Puerto Ricans who are 100% loyal to their country. So, some people tell me that we are citizens of the U.S. and that for this reason we should be loyal “Americans,” but what they don’t understand is that the U.S. citizenship was forced on us by edict, unilaterally, without consultation and by the force of military occupation, with the Jones Act of 1917. 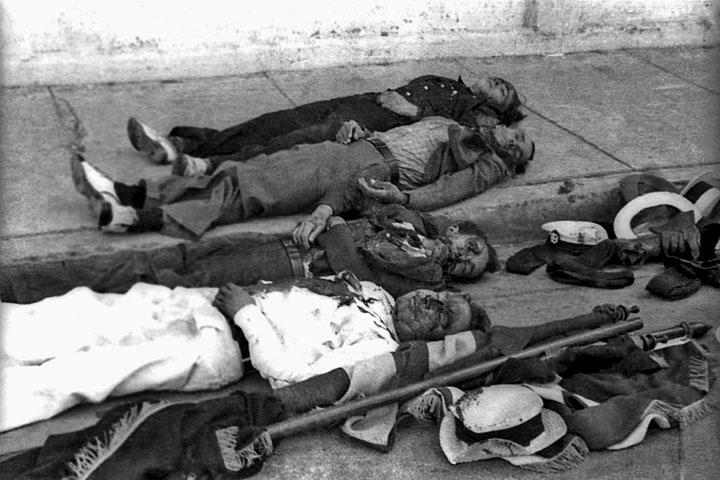 This was no “grant” of citizenship, it was an aggression against a Latin American nation, to assimilate us and take possession of our national resources, to acquire a market to dump the excess low quality products, and to conscript our men to fight imperial wars. The U.S. government used the model of citizenship that was forced on the African slaves and the American Indians to design the citizenship forced on us. On paper any U.S. citizen can renounce their citizenship, but Puerto Ricans tried that and they were denied that right. In other words, Puerto Ricans cannot renounce the imposed U.S. citizenship. The people of Puerto Rico have been intimidated, brainwashed, and even terrorized. In Puerto Rico there is a constant propaganda against independence and we have suffered massacres and persecutions at the hand of the U.S. government, but of course they won’t tell you about that. Hector Lopez joined the Green Party about 10 years ago or more.